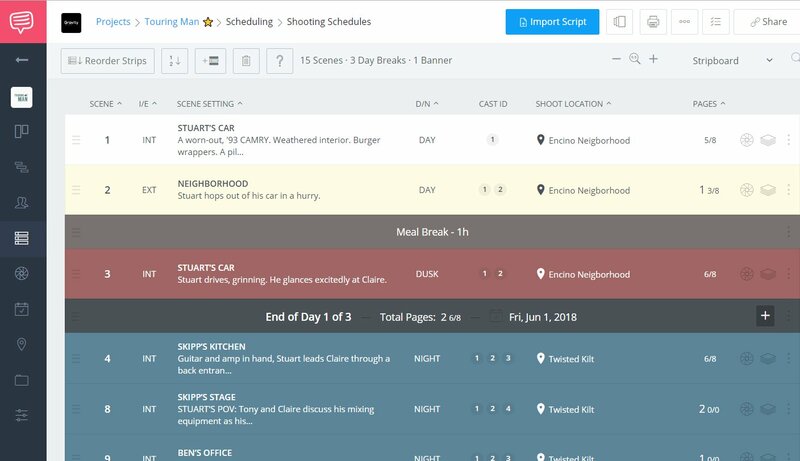 It's easy to make the change from Movie Magic Scheduling over to StudioBinder. Just keep in mind that you cannot import Movie Magic Scheduling (.mms) files into StudioBinder, including a stripboard. However, we make it easy to create shooting schedules, shot lists, storyboards, and reports. For example, tagged screenplays inside StudioBinder automatically generate Report. This will save you time and allow you to get more done. Here are some quick ways to get started with StudioBinder. On the Shooting Schedule page, click Import Script. Drag and drop your script file (.fdx or .fountain) or click Browse. 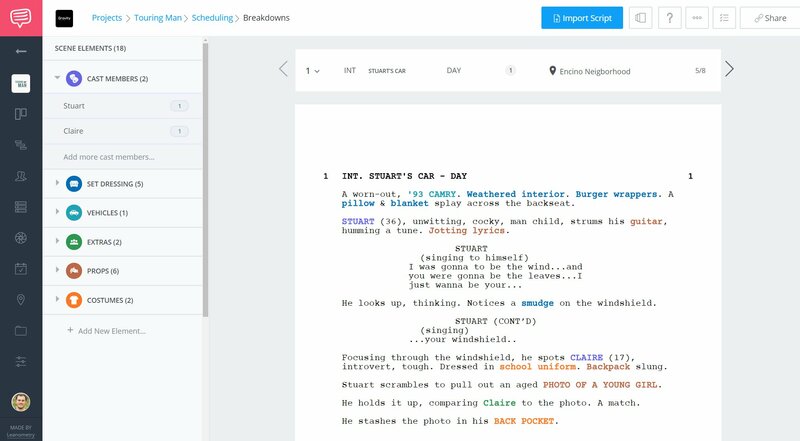 Once you import a screenplay, a shooting schedule will automatically be created. Tip: If importing isn't instant, there may be script formatting that must be resolved prior to importing into StudioBinder. Go to your Breakdown page. To tag elements simply highlight text, select the category and hit save. Note: Any tags created in MMS will not be imported into StudioBinder. Go to Reports from your Scheduling side bar menu. Select a report from the options listed and share it instantly with collaborators. What happens if I import a new version of my screenplay? What to do if I imported my script, and page numbers don't show? 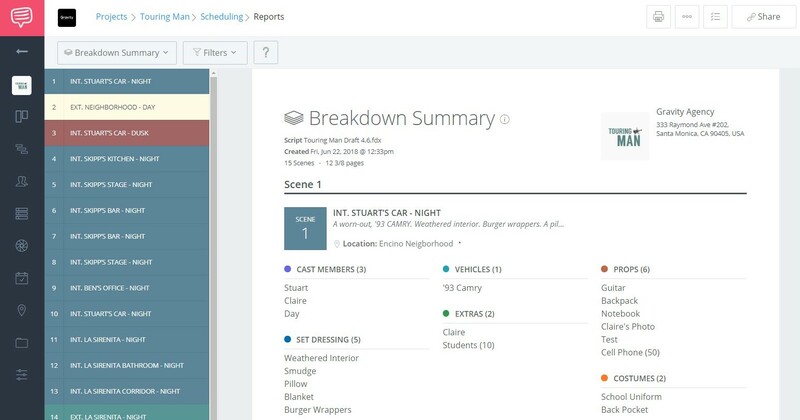 Can you view StudioBinder Reports in Movie Magic Schedule? Adding auto day breaks to your shooting schedule is fast, avoids manually adding day breaks and helps speed up your workflow. You can share pages with your collaborators to get work done in tandem, allowing you to speed through projects together.